The Samsung Galaxy S9 Plus comes with a large screen and offers an update to the earlier Galaxy S8. The S9 Plus comes with Infinity display and two models, 64 GB and 128 GB.Both the Samsung Galaxy S9 and the Galaxy S9 Plus come with a fingerprint sensor at the rear and with iris scanners. The devices come with a feature called the Intelligent Scan, which utilizes Iris Scan for banking apps and so on, and Face Unlock for regular phone unlocking. The Samsung Galaxy S9 sports a 5.8 inches display, whereas the Galaxy S9 Plus has a slightly bigger display of 6.2 inches. However, the screen resolution is the same in both the cases. The S9 Plus is heavier at 189 grams, compared to the 163 grams of the S9. Both the devices have Curved Super AMOLED display screens, with the S9 measuring 147.7 x 68.7 x 8.5 mm; and the S9 Plus measuring 158.1 x 73.8 x 8.5 mm. Both the phones come with Corning Gorilla, Glass v5 for protecting the screen. The devices are being launched in Midnight Black; Lilac Purple as well as Coral Blue. Both the devices come with the same storage capacity of 64 GB and a memory that can be expanded up to 400 GB. The battery capacity of the Galaxy S9 Plus is slightly higher at 3500 mAh, compared to the 3000 mAh of the Galaxy S9. Though the rear camera resolution is the same at 12 MP, the pixel density for the Galaxy S9 is higher at 568 ppi, compared to 531 ppi for the Galaxy S9 Plus, due to the bigger display size of the latter.The image resolution is the same at 4000 x 3000 pixels. 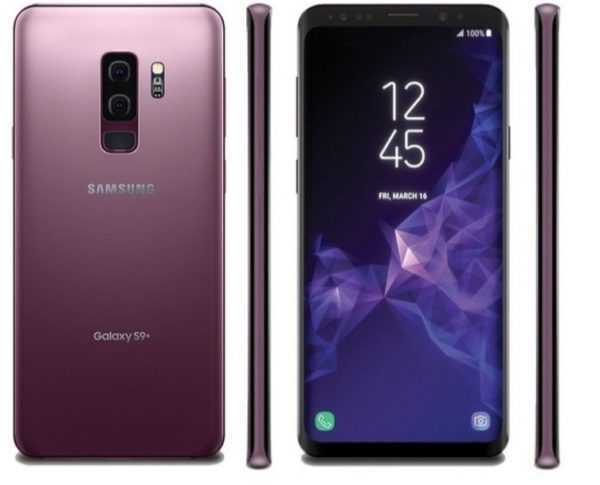 Both the Samsung Galaxy S9 and the Galaxy S9 Plus come with a front camera of 8 MP.The camera has a wide aperture of f/1.5, offering it abilities for low light as well as noise cancellation effects. Both the phones can capture slow motion videos at 960 fps. They come with AR emoticon props as well as masks. It follows the lead taken by the iPhone X. The cameras can capture the face and analyze it, helping you make animated versions that can be later customized, making it more cartoon like or life like, changing clothes, skin tone etc. The RAM on the S9 Plus is also bigger at 6 GB, with the Galaxy S9 coming with a RAM of 4 GB.Both the phones offer Quick Charging, with wireless charging features.Both run on Android v8.0 Orea, with the same chipset of Samsung Exynos 9 Octa 9810 and an Octa core Processor 2.3 GHz, Quad core, and Cortex A53. 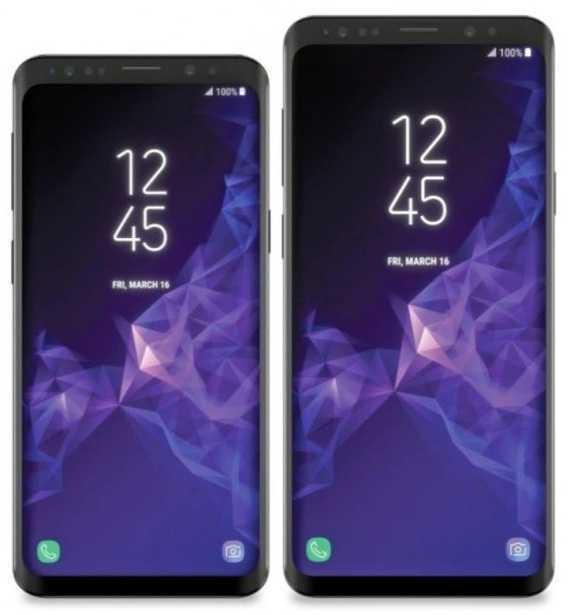 The S9 and the S9 Plus also come with stereo speakers for the first time, making it about 1.4 times louder when compared to the earlier Galaxy S8. Both the phones are stylish looking and Samsung seems to have made some noticeable changes on the rear of the phones. The fingerprint sensor, for instance, continues to be at the rear but it is now aligned at the center and placed beneath the camera. Though the two devices look identical to the Galaxy S8, these are some of the important changes, fixing earlier complaints about the previous generation of Samsung flagship phones. It’s impressive, but you have to pay the price.